In 2012, the National Research Council introduced a new set of student performance expectations in science. Through a collaborative, state-led process, a three-pronged set of Next Generation Science Standards has evolved. The three aspects of these standards are disciplinary core ideas, science and engineering practices, and "crosscutting" concepts that explore connections among the four domains of science: physical science, life science, earth and space science and engineering design, according to a news release. 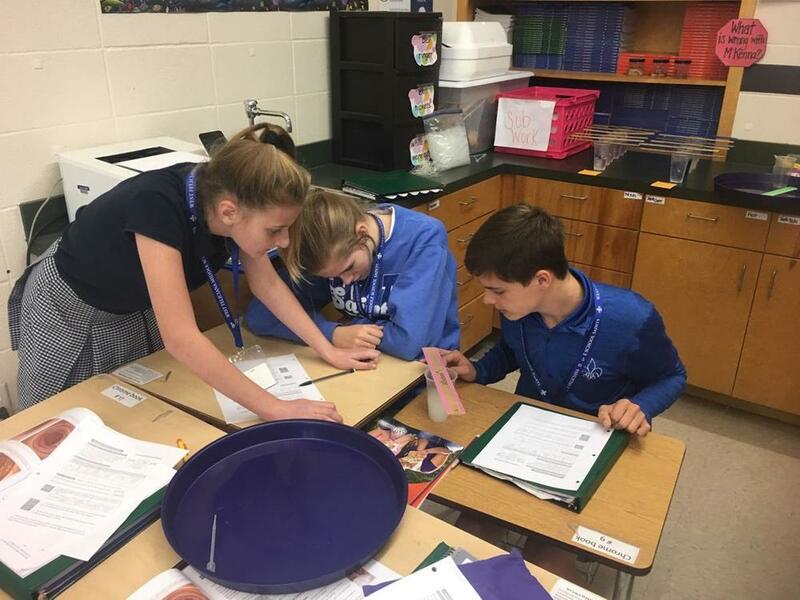 In Emily Hurst's classroom at West Feliciana Middle School, students Mary Camille Bell, Brooklyn Phelan and Barron McClure use dialysis tubing to set up an experiment to determine how the small intestine absorbs substances.